It’s hard to imagine genuine friendships existing within the glamorous but competitive world of Hollywood. Going to the same casting calls and competing for the same jobs doesn’t lend itself well to a culture of support and affection. You can image it being similar to parents who constantly compare you to your sibling and create a culture of high expectations and judgment and then expect you and your sibling to be close for life. Alright, maybe we’re projecting there. Anyway, these lady celebs have bucked those odds and found close personal bonds with others in Hollywood. Don’t forget to check out each set of friends. They might just restore your faith in humanity. Amy Adams and Emily Blunt met while filming Charlie Wilson’s War (2007) and the platonic sparks flew. Blunt told MTV News, “It was like I’d known her forever.” A year later, the two talented and beautiful actresses worked again on the dark comedy Sunshine Cleaning (2008). In 2004, Adams had a brief stint on NBCs The Office in which she dated the character Jim, played by John Krasinski. In 2008, Blunt met and started dating Krasinski, ultimately marrying him in 2010. Adams was excited to learn that two of her friends had found love with each other. Good, because that could have been awkward. This friendship goes back 17 years to when Davis and Spencer appeared together in the brief CBS drama City of Angels. The two remained close friends, eventually appearing together again, this time on the big screen in 2011s The Help. 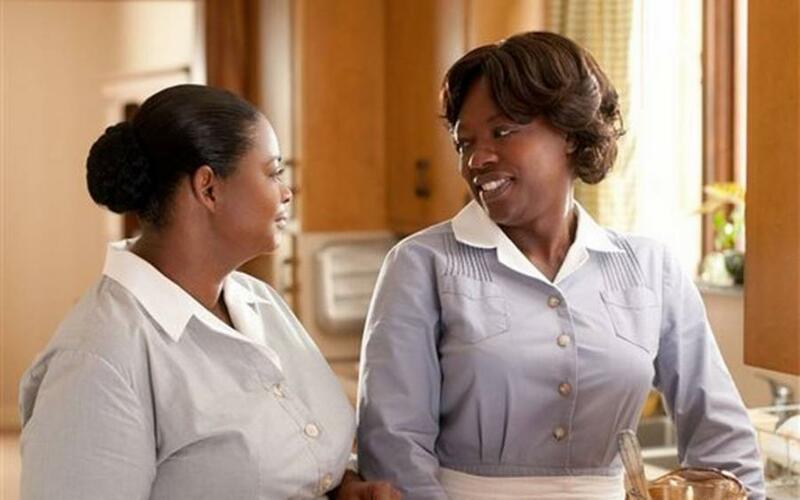 Davis and Spencer played friends who worked as maids in Mississippi for affluent white families during the turbulent civil rights movement era of the 1960s. With Spencer being an Academy Award winner (2012, Best Supporting Actress) and Davis being a 3-time nominee (2009, ’12, and ’17), this duo comprises two of the most prominent and talented actresses working in film today. 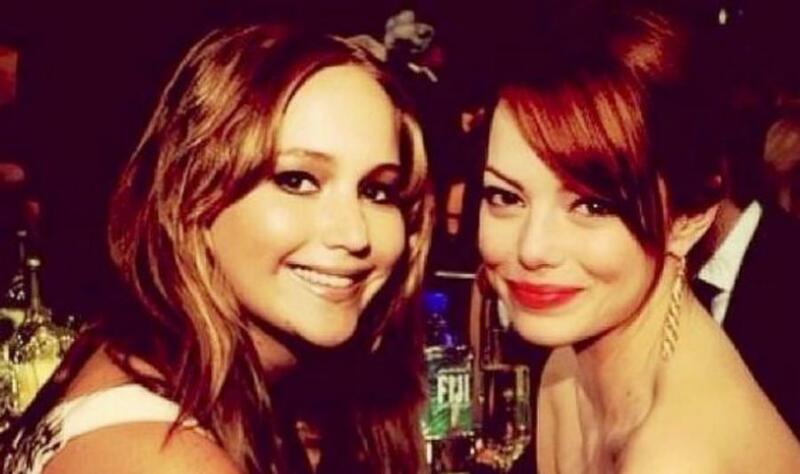 Emma Stone and Jennifer Lawrence are two of the best young actresses in Hollywood, and they’ve both worked with their fair share of prestigious thespians. In fact, that is how they met. Woody Harrelson had worked with each actress; Stone in Zombieland (2009) and with Lawrence in the uber successful The Hunger Games (2012-2015) franchise. Harrelson thought that the young women might get along well with each other, so he gave Stone Lawrence’s phone number. His instincts proved to be spot on as according to Lawrence, the two began texting and it continued for 365 straight days. Sure, they can afford unlimited texts. Usually, celebrity friendships occur within the same industry. Actors befriend actors and musicians befriend musicians. Their hectic schedules dictate this type of arrangement. 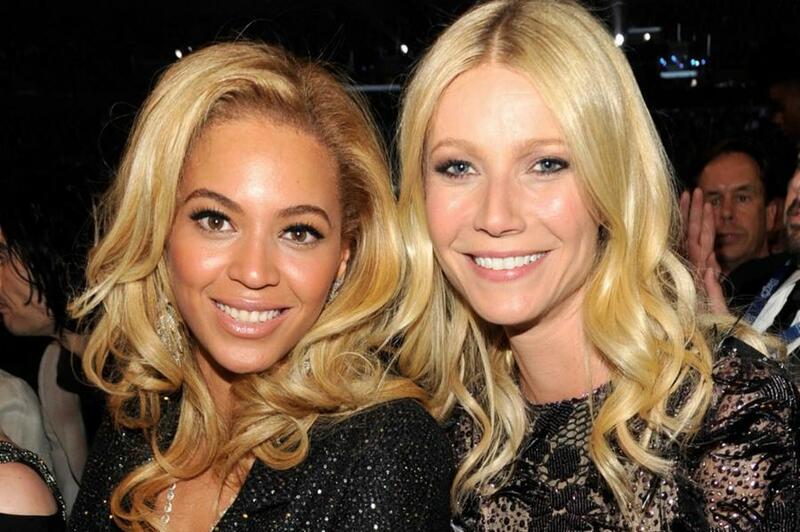 Having met at a charity event back in 2010, Beyoncé and Paltrow hit it off right away and bucked that typical celebrity friendship formula. Chastain and Williams met and became close friends back in 2004. Chastain had just graduated from the Julliard School in New York City, where she studied acting and Williams had just ended her 6-season run on the successful teen drama Dawson’s Creek. They were both looking to start new chapters in their professional lives. That year, they were both cast in a Williamstown Theater Festival production of Chekhov’s The Cherry Orchard. During that time, they lived together and as Chastain claims, “became like sisters.” Professional success was achieved by both as they were each nominated for an Academy Award in 2012. Kunis and Portman were already friends when they were both cast for the 2010 Darren Aronofsky thriller Black Swan (2010). While shooting the film, Aronofsky attempted to pit the two young actresses against each other to make the on-screen tension between the characters seem real. While a genuinely tense performance was achieved, their friendship was not strained in the process. Kunis has even joked that Portman is the only person that both she and her husband, Ashton Kutcher, has kissed. This is in reference to a scene in Black Swan when Portman and Kunis lock lips as well as the film No Strings Attached (2011) featuring Portman and Kutcher sharing their own romantic entanglements. Courteney Cox and Jennifer Aniston have become the pinnacle of celebrity friendships. While it’s common knowledge at how close they are, I couldn’t bring myself to exclude them from a list of BFFs. They met back in 1994 when they started shooting episodes of the hit TV show Friends. Aniston is the godmother of Cox’s daughter Coco. Cox has always had Aniston’s back when it comes to celebrity gossip. In 2016, when Aniston’s ex-husband Brad Pitt split with his wife Angelina Jolie, it was rumored that perhaps Aniston may have had something to do with the split. Cox jumped into action dismissing the rumors as lies. 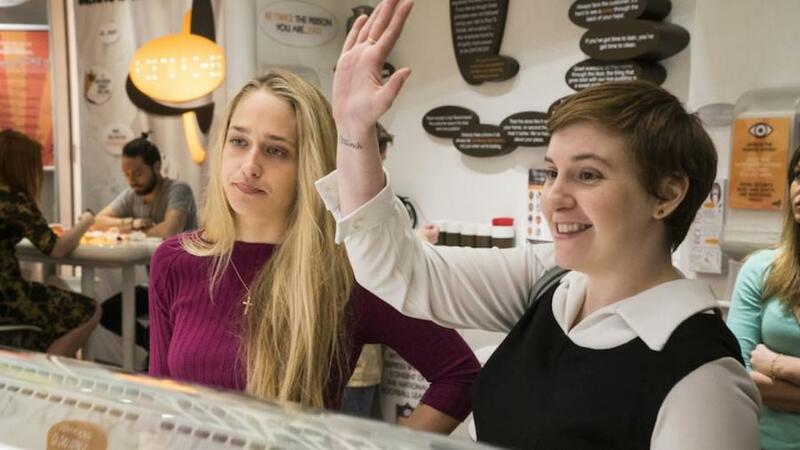 Lena Dunham and Jemima Kirke not only play college roommates turned best friends in the hit HBO comedy Girls, they are best friends who have known each other since high school. Dunham wrote and directed the 2010 dramedy Tiny Furniture, a film which would launch her career as well as Kirke’s. Using money from her parents to make the film, Dunham had to cast friends and relatives, so her friend Kirke was all too willing to help out. After the success of Tiny Furniture, Dunham landed the opportunity to make a pilot for HBO. The result was Girls, and when it came time to start casting, she called Kirke, who agreed to join the cast. This relationship isn’t so one-sided, though. When Kirke asked to give Dunham a tattoo, she agreed. Now that’s either friendship or a lost bet. Best friends in the 2016 raunchy comedy Mike and Dave Need Wedding Dates, it’s nice to know that Plaza and Kendrick are besties in real life too. If you are lucky enough to follow these ladies on Twitter, you are already aware of the hilarity they put on display. Meeting on-set during the filming of Life After Beth (2014), they quickly became best friends, and they’ve got plans for the future too. Plaza says, “hopefully when I’m 70, Anna Kendrick and I will have our multi-cam sitcom, exactly like the Golden Girls. We’ll just be two fast-talking sexual ladies hitting on younger guys.” We should all plan on holding them to this promise. Both Kidman and Watts grew up in Australia and pursued acting at an early age. Their friendship goes all the way back to high school where they would often audition for the same roles. While fame found Kidman quicker than it did Watts, it was Kidman who kept Watts motivated and positive during her struggling years. Watts has said about Kidman, “I was lucky that Nicole Kidman was always there to support me, console me, keep my spirits up and help me believe in myself. She’s been such a good friend over the years.” The love goes both ways, as Naomi moved in with Kidman after her public divorce from Tom Cruise. 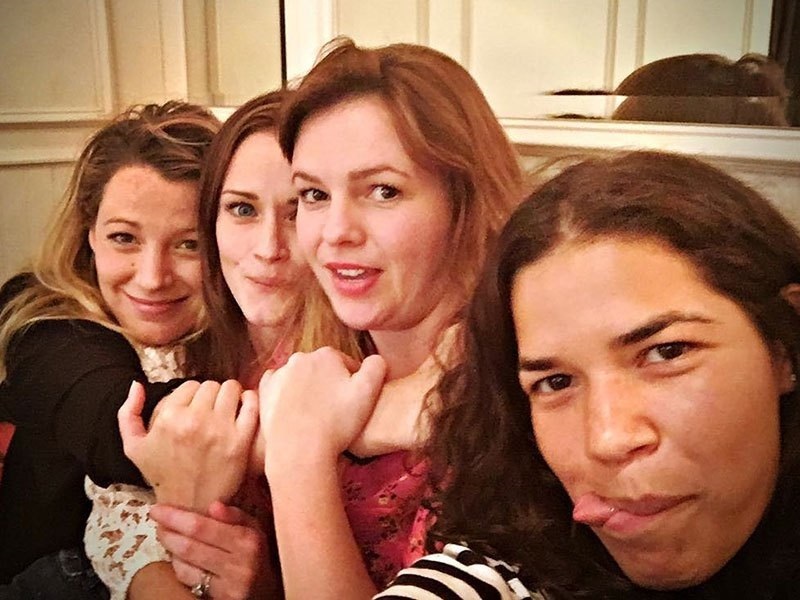 It’s been almost 12 years since these four talented actresses appeared together in the original Sisterhood of the Traveling Pants film, but they have all remained very close. They have continued to act and have each obtained a high level of stardom outside of the franchise. They have all hoped to do a third film in the series, but even without it, they each have plenty of work to keep them busy. Ferrera currently stars in the TV comedy Superstore, Bledel is busy with her immensely popular reboot of Gilmore Girls on Netflix, Tamblyn has been a mainstay on television as well as in films, and Lively has also seen her film career explode. With all this success, you’d think they could afford their own pair of magical pants. Having met while filming The Heat (2013), Sandra Bullock and Melissa McCarthy soon struck up a friendship that is strong, though still young. Director Paul Feig said that the two women were “inseparable” and that were even finishing each other’s sentences. While they admit to having friends in common, they had never met prior. Their bonding has a lot to do with both actresses being mothers. That’s evident when after the filming of this movie had wrapped, Melissa’s husband Ben Falcone took their kids trick-or-treating with Sandra’s son. Melissa was out of town shooting a movie at the time. They would be a hoot to hang out with, we are sure. Brie Larson says, “Every time we see each other, we cry.” That’s a pretty intense friendship she has with fellow actress Shailene Woodley. They met while filming The Spectacular Now (2013) and very quickly knew there was a connection between the two of them. “When Shai and I met each other, it was boom! We understood each other instantly” says Larson. Neither one has much of a social media presence. Woodley doesn’t even own a cell phone. They both started acting at a young age, and they both struggled for years, nearly giving up several times. But they found their way, and they found each other. Salma Hayek and Penelope Cruz have been friends for over 20 years. They met when their paths crossed a lot while auditioning for the same film roles. When Cruz moved the Los Angeles area to start her career in American movies, Hayek took her under her wing and introduced her to people and even gave her a place to stay. They are so close, they have admitted to sharing a bed on numerous occasions as well as a pet name for each other, “huevos,” which translates to eggs. Hayek helped Cruz with her transition to American films as well as her homesickness, and hopefully, they found a better pet name for each other. Jennifer and Amy’s friendship started in the summer of 2015 during a vacation to the Hamptons. As Schumer tells it, she had just met Lawrence and, wanting to be friends with her, invited her on a boating trip that she takes annually with her high school girlfriends. Much to her surprise, Lawrence agreed to go, and the rest is history. Well, recent history, very recent. The word is, Schumer’s high school friends were excited to get to hang out with Lawrence as well. 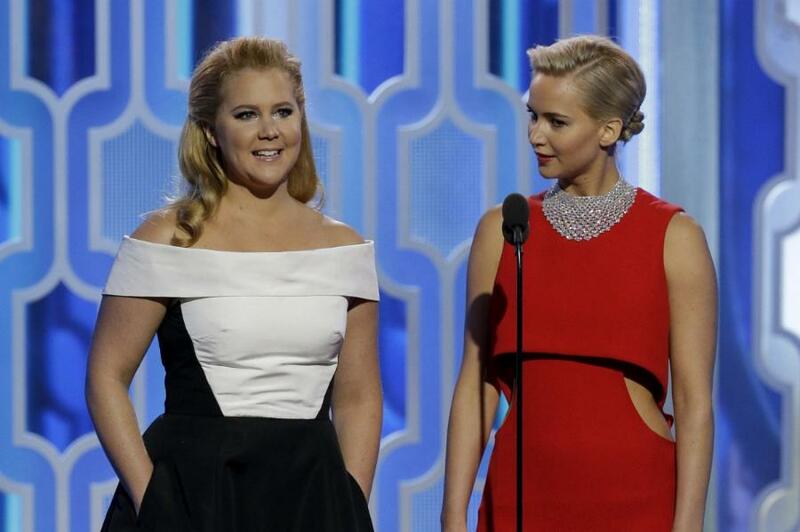 We should all be excited for the comedy film that will inevitably come as a result of this friendship. Their characters on The Office were very different and almost never got along. Pam Beesley and Angela Martin may have been enemies, but Angela Kinsey and Jenna Fischer are very close friends. Before they shared the big screen in 2011 hit comedy Bridesmaids, and before they shared the stage of Saturday Night Live, Maya Rudolph and Kristen Wiig met in 2001 at a wedding shower held at Melissa McCarthy’s house. Yes, the same Melissa McCarthy also from Bridesmaids. So, when Wiig co-wrote the movie, she needed a group of funny ladies to fill out the ensemble cast. She had to look no further than her actual BFF to play the role of…well, her BFF. Rudolph and Wiig acted together again in the film Friends With Kids, later that same year. The friendship between Katie Holmes and Victoria Beckham has been on-and-off at times. Beckham lived in Los Angeles when her husband, soccer star David Beckham, played for the LA Galaxy soccer franchise. That allowed her to spend quite a lot of time with her friend Holmes. Over the years, issues from her affiliation with Scientology (through her then husband Tom Cruise) to Beckham moving back to London are potential reasons the duo has cooled. Just when it looked as if the friendship was over, the two have been talking more and rumor suggests that Beckham helped Holmes leave her marriage to Cruise. Whether that is true or not is speculation, but it seems like these BFFs have a little more life left in their friendship. These long-time BFFs met at Chicago’s ImproOlympic in 1993. Tina and Amy really appreciated and respected each other’s comedic work, and there was a connection that would last even when Amy moved to New York in 1996 to join Upright Citizens Brigade. In 1997, Tina moved to New York too, only she was headed to Saturday Night Live as a writer. In 2001, Amy finally made the jump to SNL after many years of begging by Tina. Together, they were the first female anchors on Weekend Update. Since then, they have been in several movies together and hosted award shows. 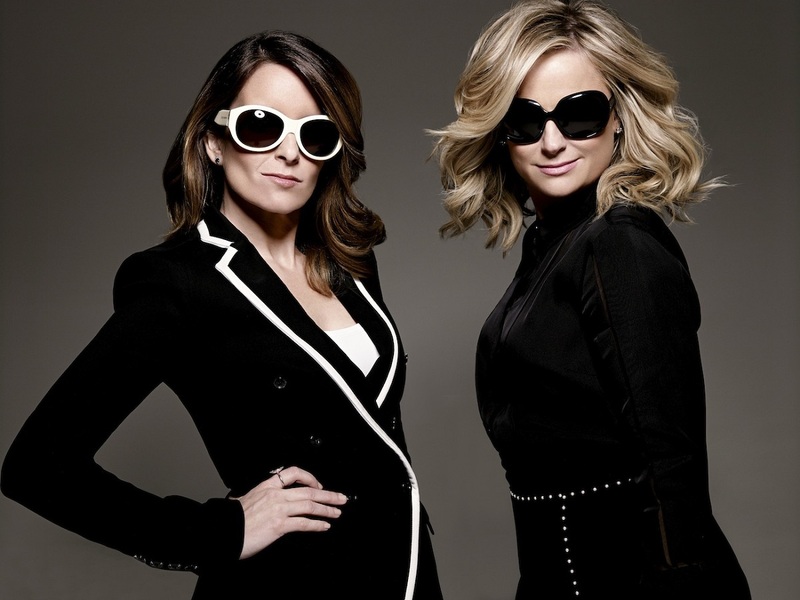 It’s safe to say that the names Tina Fey and Amy Poehler are officially synonymous with each other and that’s not a bad thing. 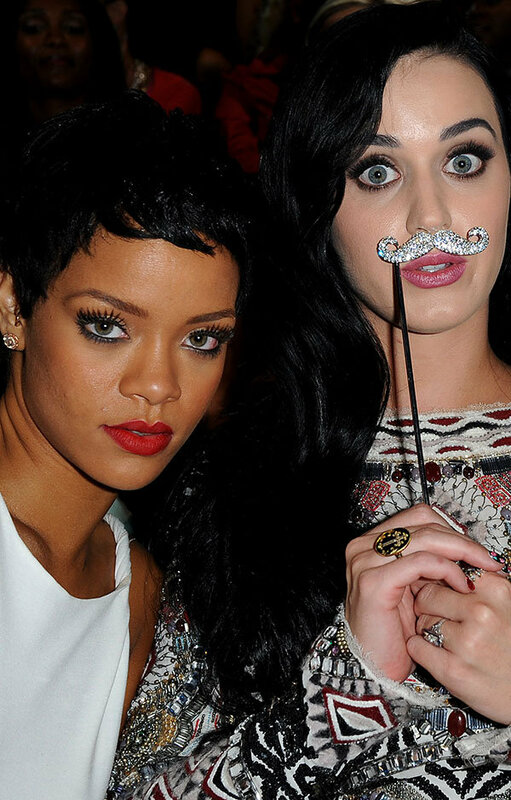 Katy Perry and Rhianna became friends in a most peculiar way. In 2009, Perry happened to notice a particularly fetching purse that Rhianna was carrying. Perry boldly approached the fellow singer to compliment her on the handbag, and a conversation ensued. Later, Rhianna sent the same bag to Perry as a gift. There seems to be a level of trust between the two songstresses. Rhianna has spoken about her friend openly, particularly about how “unedited” and honest she is with her. Rhianna even threw Perry a bachelorette party before her marriage to Russell Brand, and when the marriage ended two years later, Rhianna was there to help her friend through it.